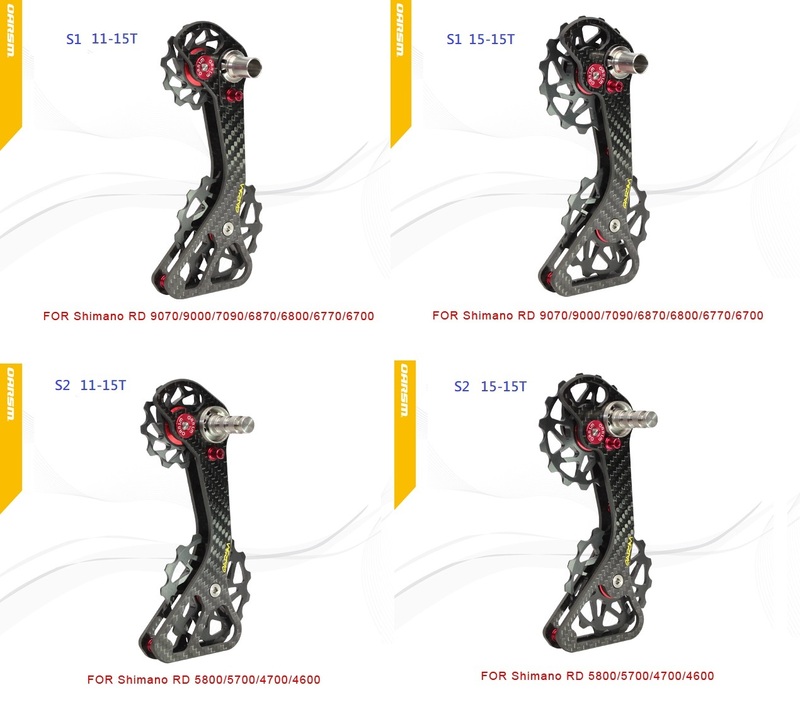 This is carbon fiber high-efficiency jockey pulley 11/15T and 15/15T for Shimano or Sram bicycle Rear Derailleur Guide Wheel from Taiwan OARSM brand name. 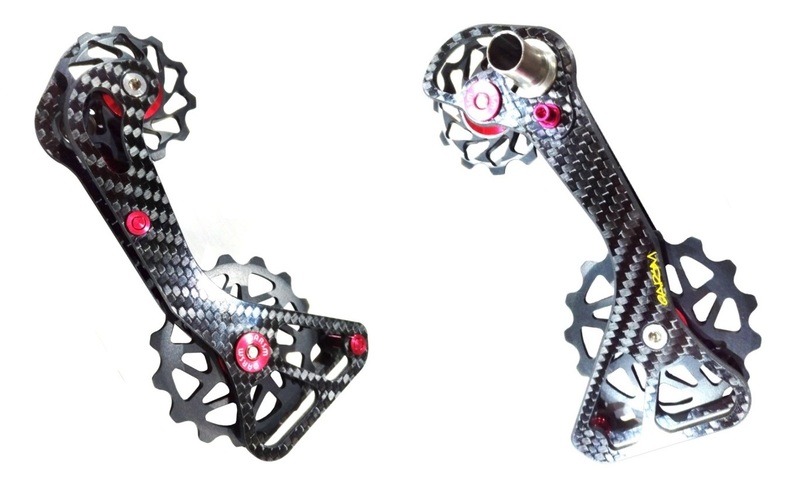 The Oarsm Jockey Pulley system optimizes the overall efficiency of your drivetrain thanks to the extremely low friction and lower noise during chain traveling and the unique design of the overall system. LIGHTEST: the whole cage is 100% made of carbon fiber. STRONGEST: the connecting pole is made of stainless steel instead of Al-alloy. LOWEST NOISE & FRICTION: lower noise and friction during chain traveling. EFFICIENT & DURABLE: low friction precise stainless steel bearing, solid riveting construction.